We will tell you about some of the biggest and most important issues we have experienced. 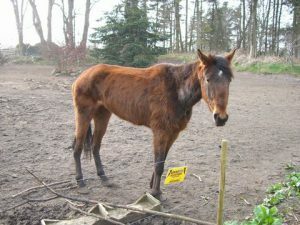 Every year we get about 100 cases – everything between thin horses and long hoofs. About every 3 cases will be reported to the police. 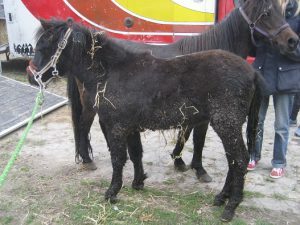 7 mini shettys didn´t had any farrier for a very long time. 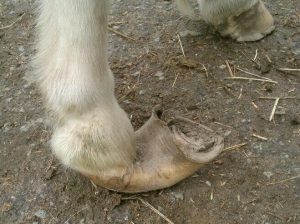 The result was extreme long hooves and pain when they had to move around. 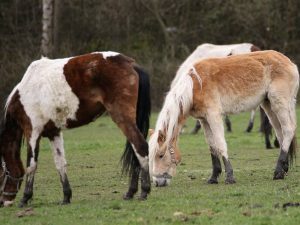 We saw a field of emaciated horses and decided to help 2 of them. Inside the dark barn stood the thin horses packed together. 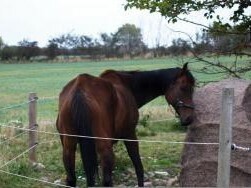 Several horses stood on a field without feed, shade or clean water. The horses were also thin. The police did not really do anything. It was very frustrating. 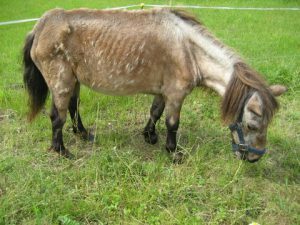 A little pony stallion was so starved that he almost could not stand on his legs. 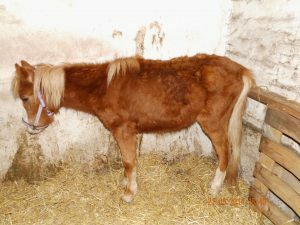 A foal grew up in spite of the fact that it could hardly stand on the legs due to deformed hoofs. 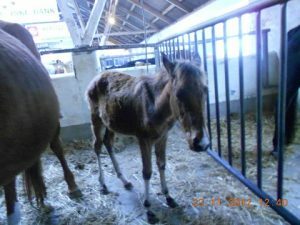 It was very painful to the foal. 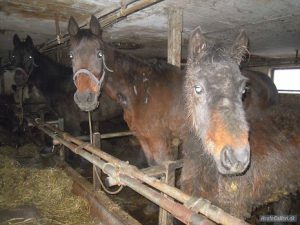 14 trotters had been removed by the police, who eventually chose to put them for sale at a slaughter auction. 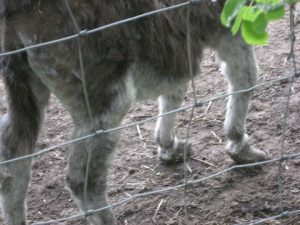 Some donkeys lived under very bad conditions with long hoofs and too little to eat. 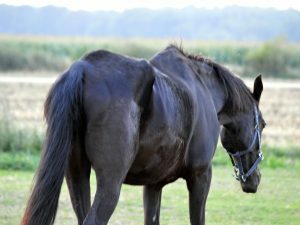 A retired racehorse was found on a field without any proper food. The horse was very emaciated. Three riding school ponies should enjoy their otium. Unfortunately, it ended up completely wrong for them. nyt Hesteliv’s first animal rescue case. 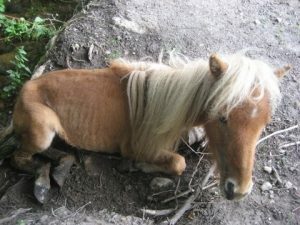 A horse and a pony stood half dead of hunger. In the stable stood another horse that no one knew was there.